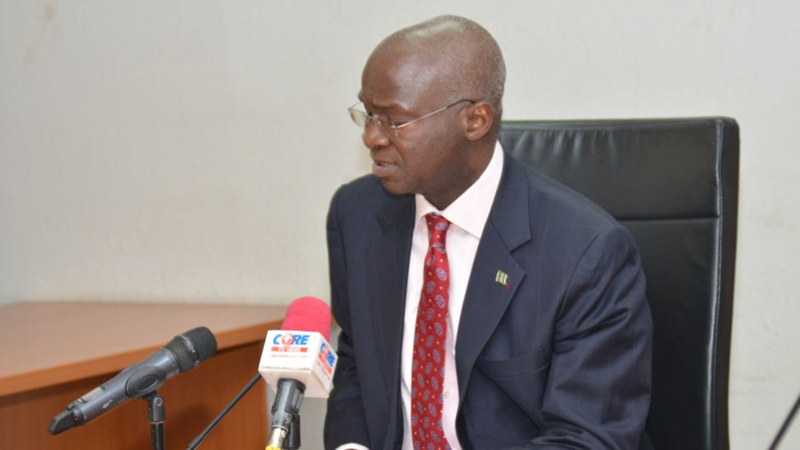 An associate professor of Energy Law at the University of Lagos, Yemi Oke, has lampooned the Minister of Power, Works and Housing, Babatunde Fashola, saying he was playing politics with the power sector. He said Fashola’s claim that the present administration has done more in the country’s energy sector than what previous administration did in 16 years was not true. He stated this yesterday on Channels Television’s Sunrise Daily Programme, adding that most of the present administration’s acclaimed achievements in the sector were initiated by past governments. Oke stressed that the gains recorded in the power sector in the last regime have been reversed under the present administration due to incompetence. He also criticised Fashola for engaging in constant warfare with the Association of Electricity Distribution Companies (AEDC), claiming that this would have an adverse effect on the sector. “Fashola has done a lot of disservice to the power sector by creating acrimonious business atmosphere, not only in the transmission segment. “His antagonistic posture is wrong, but the distribution companies have been quite diplomatic in their approach to issues because they do not want to disagree with the minister,” he said. He explained that the National Electricity Regulatory Commission (NERC) has never been this subjective and tied to the direct control of a minister, arguing that the power sector could not thrive until it has an independent regulator. Oke maintained that the present government has also not been leveraging on the strategic power sector master plan of the last administration. “The Mambilla Azura projects and Independent Power Projects (IPPs) that former President Olusegun Obasanjo established under the Niger Delta Power Holding Company (NDPHC) were initiatives of the previous administration now being paraded as success stories of the present administration. “All the strategic power sector master plan of the last administration is what they are now implementing,” he stated. Oke, however, submitted that to resolve the challenges facing the sector, the country should deploy the whole energy mix and encourage other renewable forms of off-grid generation. Meanwhile, the Transmission Company of Nigeria (TCN) yesterday said fire has damaged the base of suspension tower at the Onitsha end of the Onitsha-Asaba 330kv transmission line. Its General Manager, Public Affairs, Ndidi Mbah, confirmed that the incident started from a 415 volts Three Phase Service (recklyne) cable on a plastics dumpsite by the affected tower.